The powerful eloquence, the profusion of tonal coloration and volume, the elegance and glamour of antique masterpiece instruments have always thrilled me. That is why I have intensively researched the luthiers whom I revere the most, I have attentively studied the design of the instruments, their peculiarities and acoustical characteristics, and I have specialized in the replication of well-known antique instruments. It is very rewarding to see that my work has been so well received. My instruments have won awards in many German and international violin-making contests. I need the exhilaration and I seek the challenge—every day. Those who rest on their laurels do not continue to evolve. There are always new things to learn, throughout one's entire life. It is a question of attitude. That is why constant communication with musicians is so important for me. What they find out in their daily use of the instrument is what gives me new ideas and brings me farther along. The result is important, not the time and effort. 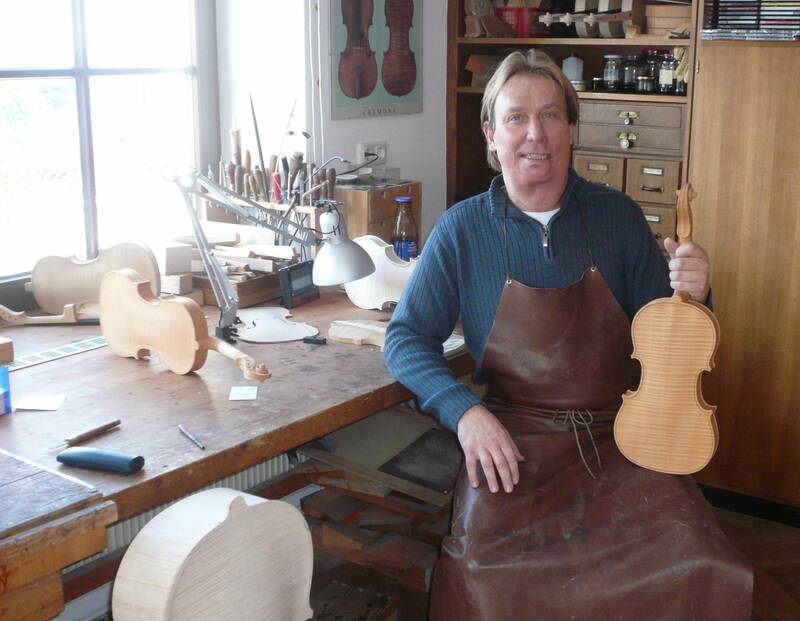 German Chamber of Craftsmen, Erlangen: I passed the Examination for Master of Violin-making, earning a special mention.